Over the last few decades people have been getting taller and heavier and their feet have been getting bigger. As the demand for larger sizes grows, so does the choice of styles. Over the last few decades people have been getting taller and heavier and their feet have been getting bigger. As the demand for larger sizes grows, so does the choice of styles. This is great news if you have swollen feet and need to wear women’s wide shoes. You can now find footwear that is suitable for almost every outing or occasion. 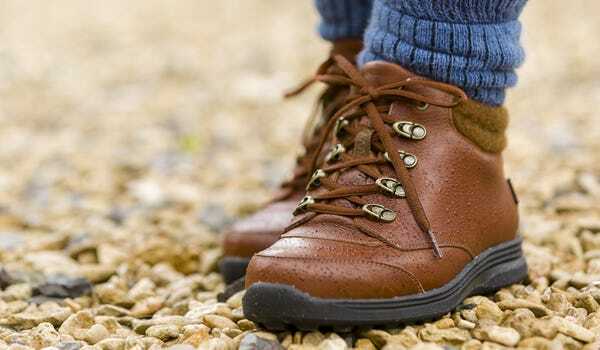 Waterproof walking boots are now available in a wider fit. This means you can get out and enjoy the great outdoors whatever the weather and your feet will stay warm, dry and comfortable. Boat shoes and heels are two wardrobe staples that are also now available in a wider fit. Boat shoes are ideal for the spring and summer months and look good with anything; from formal wear to a pair of your favourite jeans. The right pair of heels can make an outfit. 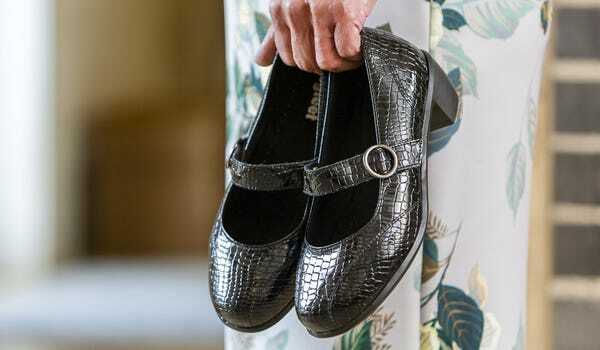 If you have very wide or swollen feet look for styles that are deep and roomy. It’s also a good idea to choose a style that has a broad heel so that you feel stable and supported. With a choice of playful patterns and cheerful colours, fabric shoes are an easy way of adding some interest to your outfit. They are also a useful style if your feet are sensitive or painful as they tend to be soft and lightweight.